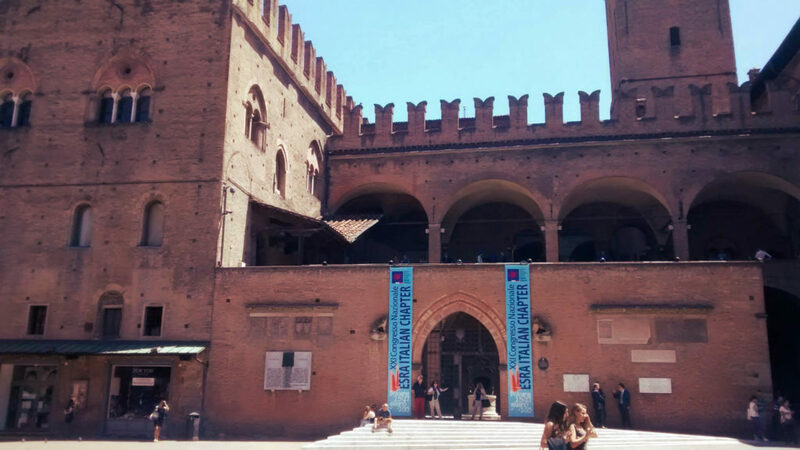 In 2015, we lived in Bologna for almost two months. It was really a dream come true because we always wanted to live in Italy and enjoyed the Italian summer. I remember I wanted to try all the traditional food there. Bologna and all the region of Emilia-Romagna are famous for its food. Of course, you’ve heard of Lasagna alla Bolognese, Tortellini, Tagliatelle or Spaghetti Bolognese. It took me by surprise some other things that I didn’t know about this lively city. There are 3 new things I’ve learned about the Italian lifestyle while living in Bologna. 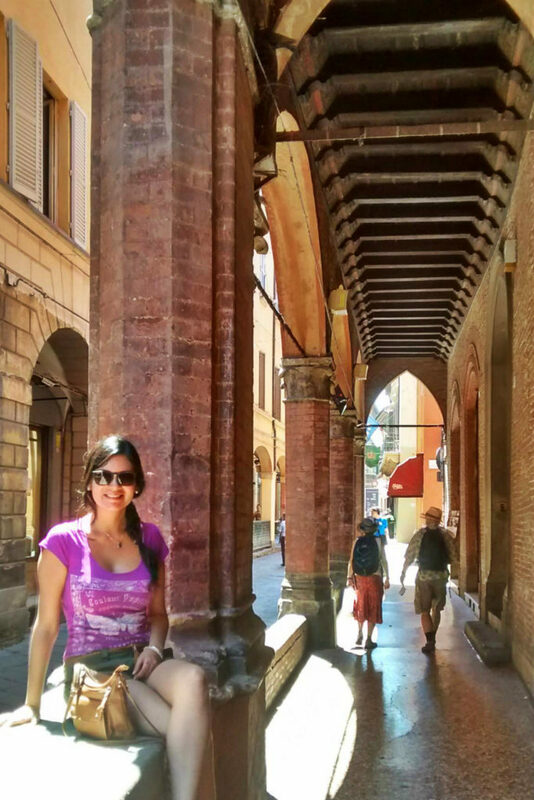 I guess every city in Italy is different but there were some things I have found in common while living in the capital of Emilia-Romagna. Most bars in the city offer “Aperitivo”. Usually, it cost 7 euros and included the Buffet. The food at these buffets is different in every Bar. Some Bars offer just potato chips or vegetables and others a big buffet where you can eat pizza, salads, prosciutto, cheese, …and much more. I LOVE Aperitivo. During Aperitivo time, I would say, the most common drink among tables is “Aperol Spritz”. This is an Italian drink made of Prosecco, Aperol, and Soda. It comes with a slice of orange and plenty of ice. Personally, I am not into fashion but when we were living in Bologna I think we were more aware of how we dress up. Walking around the streets of Bologna is like going to a live Fashion show. I really enjoyed seeing new cool outfits every day. The most common accessories among women were little dresses and a designer’s purse. Men love the color blue. They wore shorts with light blue shirts, moccasins without socks and a small bag. Have you tried Italian coffee?. If you have, then you will agree with me that Italian coffee is among the best coffees in the world. In every corner, there will always be a Bar (Café). 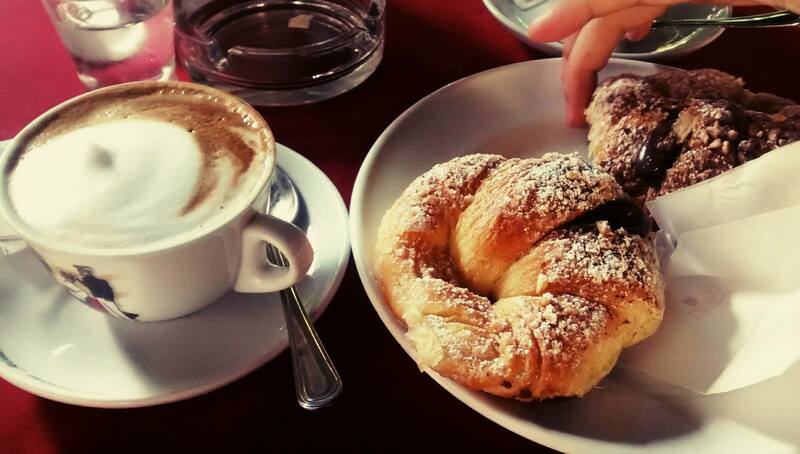 There you can enjoy a cappuccino or espresso and why not, a Brioche (Croissant) with Nutella. That is very common in Bologna. Just go to a Bar and drink an espresso, maybe read the newspaper or have a short conversation with a friend. Such an excellent way to start your day. Lab16. It is open all day and is well known for its Aperitivo and Buffet. Each drink cost 7 euros and the buffet is included in the price. Quanto viene? = How much is it? Fiorella is the author of Chica On The Road. She is a Peruvian girl, who loves to travel. She lived in Bolivia, Italy, Australia, United States, Canada, Germany, and Southeast Asia. She created this travel blog to inspire others to travel more and share travel tips. She is now learning Italian and still traveling. 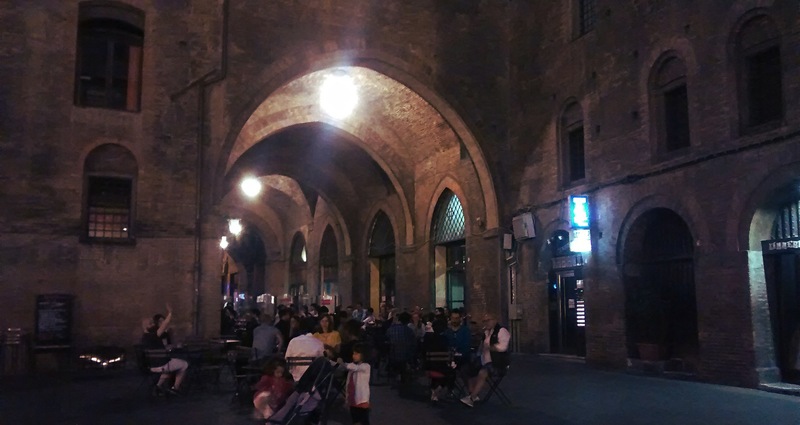 Bologna seems like a great place for living! I would love to visit it soon! 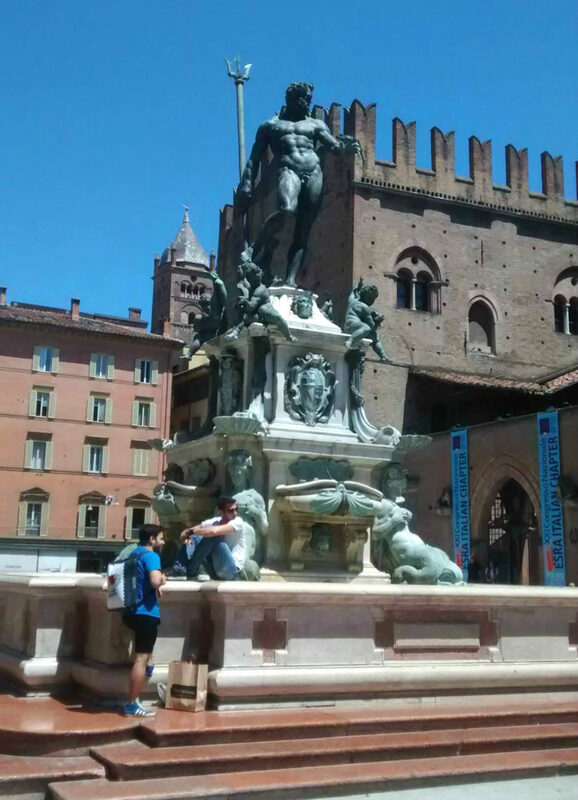 Absolutely Agness, Bologna is a great place to live in 🙂 We had a wonderful time there. Me too, I hope I can visit Bologna again soon!